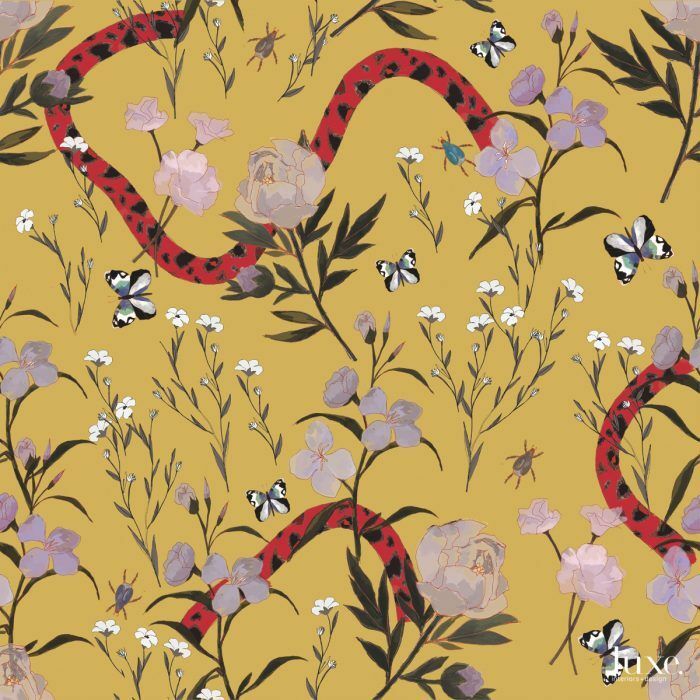 Flower and Serpent Wallpaper in Marigold / Price upon request / brettdesigninc.com. Like Wilson, the pieces on this page prove designers, artists and stylemakers alike are continually fascinated and influenced by the natural world of insects and the beauty of their structural complexities. With the spring season on the horizon, we are celebrating these creatures’ indispensable influence on design and embracing their vivid, whimsical and electrifying features.